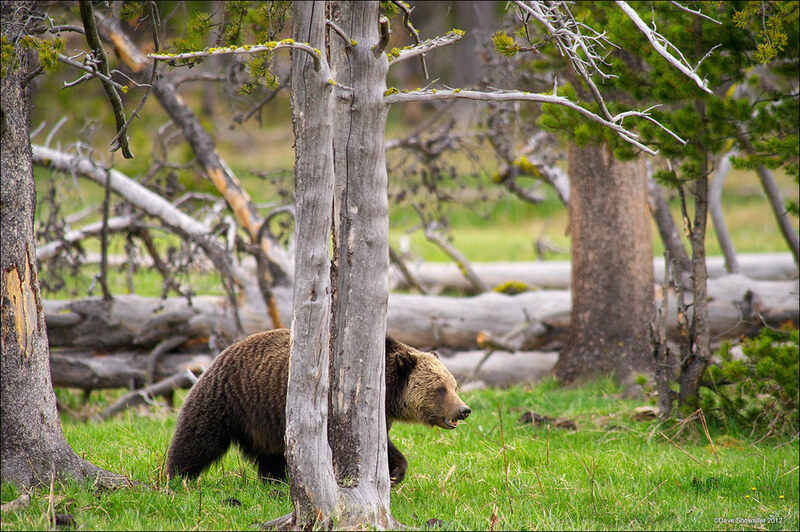 A large grizzly bear travels through stands of trees in Gibbon Meadows while foraging on a spring evening. Ursus arctos horribilis. Photo © copyright by Dave Showalter.